I had such high hopes for this magazine. As a mid-century lover, I have all the Atomic Ranch books on my Amazon wish list. The houses they feature are simply amazing. When I discovered the Atomic Ranch magazine the other day at Borders, I was simply ecstatic. I couldn't wait to dive into the crisp new pages and read all the exciting articles. I was like a kid in a candy store. That night, as I read Atomic Ranch, I realized that I liked the magazine less with every page I turned. The articles were full of architect/homeowners with a penchant for name-dropping and the houses were typical and uninspiring. After reading the whole magazine, there was only one article that I wanted to keep for my clip book, and I only liked it because of a couple of the pictures. What was I expecting from Atomic Ranch? I'm not sure. I guess I was hoping for a mid-century version of Domino with neat house tours, vintage-inspired product finds, city guides showing places with great 50's architecture and funky little antique stores. I wanted something useful, practicle, and inspiring. 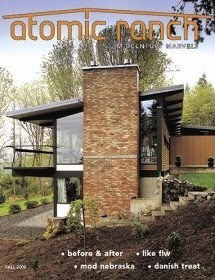 My thought, Atomic Ranch should stick to books to avoid becoming boring and monotonous like Dwell. I used to LOVE Dwell until I noticed after a couple of months that every issue seemed to be the same. I get the same been-there-done-that feeling from Atomic Ranch. 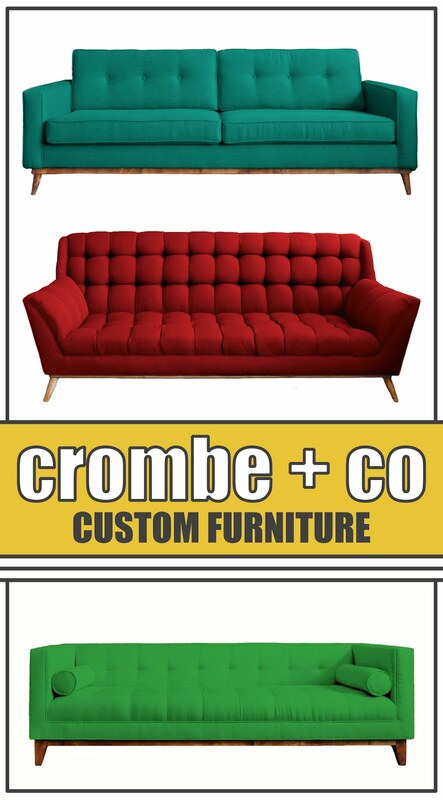 On the other hand, Atomic Ranch is a great way to keep up with mid-century collectors, designers, architects, and businesses...I found several great shops and mid-century focused realty agents through the ads. Overall, Atomic Ranch is a decent magazine but I'd suggest buying it issue-by-issue. For more books and magazines from Apt528 Reads check out the Apt528 Amazon Book Store.